Johann Gottlieb Fichte (German: [ˈjoːhan ˈɡɔtliːp ˈfɪçtə]; May 19, 1762 – January 27, 1814) was a German philosopher. He was one of the founding figures of the philosophical movement known as German idealism, which developed from the theoretical and ethical writings of Immanuel Kant. 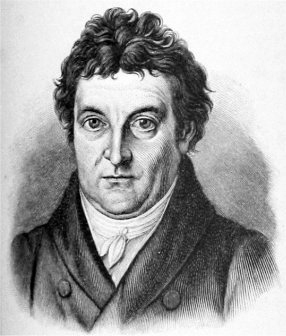 Fichte is often perceived as a figure whose philosophy forms a bridge between the ideas of Kant and those of the German Idealist Georg Wilhelm Friedrich Hegel.